The Manchester University stint of extra-mural courses gave the author enough confidence in visual and performing arts and communications: compounded in a contemporary language. 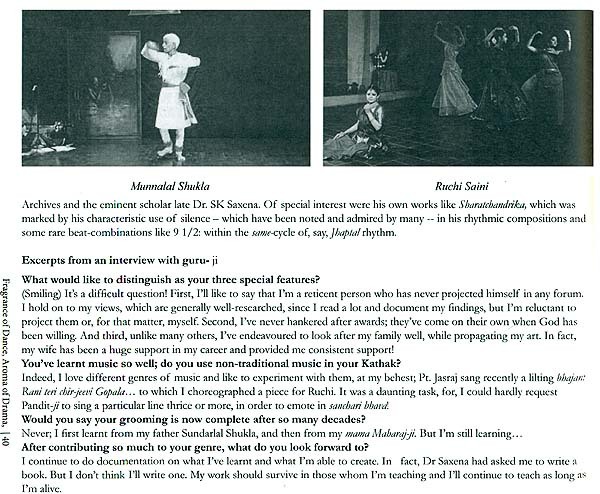 His first chronicle, Indian Performing Arts, came out in 1992. The book thankfully went into multiple editions and reprints. It was also embellished with Padma Vibhushan RK Laxman's delightfully inferential cartoons. 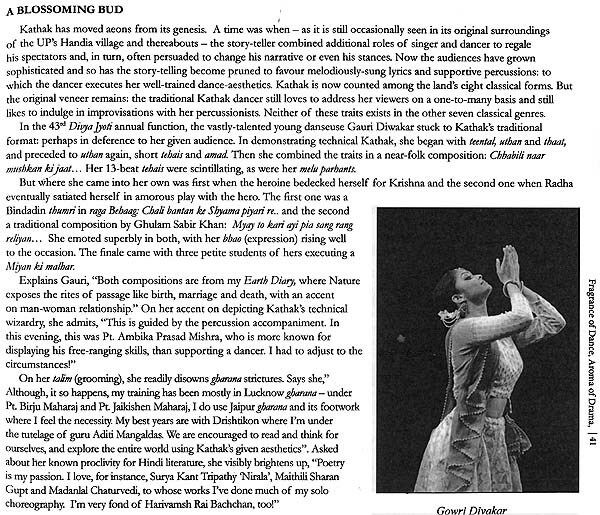 Then further sequels followed: Indian Performing Arts: A Mosaic (2006) and Millennium Glimpses of Indian Performing Arts (2007). 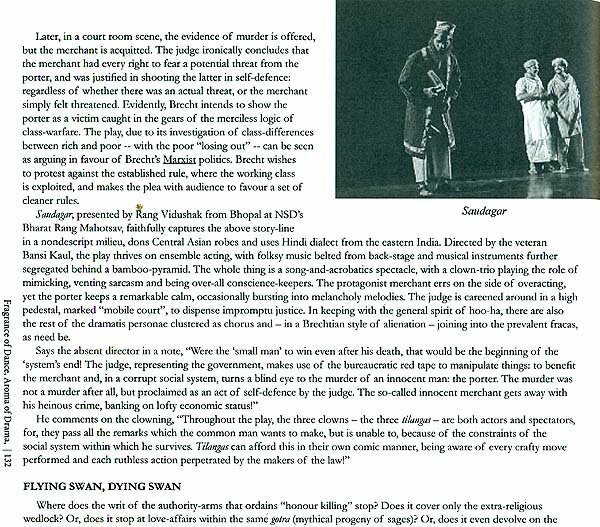 The fourth to appear was Vignettes of Indian Performing Arts (2013) in two volumes, covering drama, dance, dance-drama, music, puppetry, narrative arts, festivals and miscellany: just to give an idea of it he intended coverage. The present book - the fifth and perhaps the final sequel - is restricted to dance, dance-drama, festivals of dance and music, and drama. This is because the most innovative works seemed to be done in these areas, speaking in a comparative vein. The best of the national fruits of thought appeared invariably to be routed to the capital and be in the national melting pot. So, to be in the viewer's arena here was deemed to be an advantage, rather than a drawback . The other distinctive reason to limit the scope was to concentrate on the background of the performance acts being done. Considerable time was chosen to be devoted on research so that' for once. the perspective of the artistic work clearly emerged. These research-efforts have been widely appreciated and many were reportedly made collectors' items Hence the endeavour to put them together: with full illustrative potential. 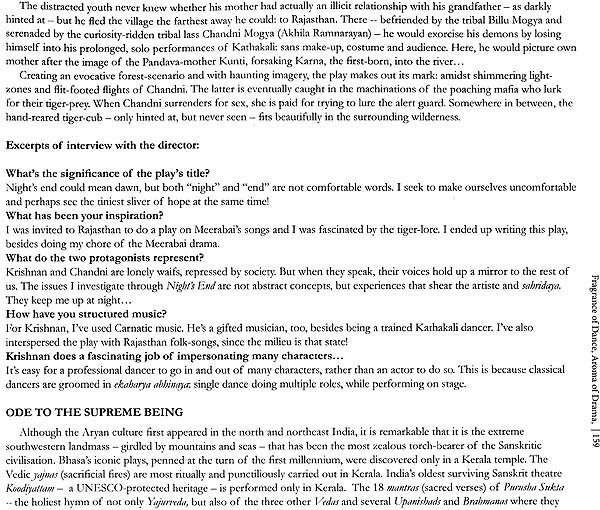 He planned and executed, for DD Archives, a set of DVDs on Tagore's memorable songs and provided full texts for 53 episodes of Bharat: Ek Khoj by Shyam Benegal for their 14 DVDs. On Indian puppetry, his collaborative books are: Indian Puppets (2006), Indian Puppetry &Puppet Stories (2007), and Puppets of India and the World (2014). His current works are: Luminous Harmony: Indian Art & Culture (2011), Rainbow Rhymes of Tagore for children in four volumes (Sahitya Akademi, 2011), Tagore-nama (2011), Tagore's Mystique of Dance (2011) and Tagore's dance-drama Omnibus (2012). He has done trilingual translations: Mystic Songs of Tagore, Romantic Songs of Tagore and Patriotic Songs of Tagore (2012-13). In fact, having completed 7 books on Tagore within his 150th Birth commemoration year, he earned "All-India Record" from Limca Book of Records (2013). He was awarded Senior Fellowship from Government of India 2007-09, for working on A journey with the Buddha (2010. 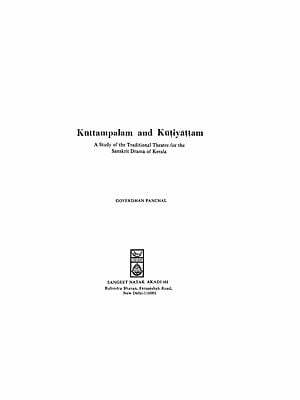 2-volume). He was "Chief Coordinator" for the official "Leaders of India" project under Prasar Bharati. for collecting audio & video-holdings on Mahatma Gandhi. Jawaharlal Nehru. Indira Gandhi & Rajiv Gandhi. for archiving and eventually creating an Interactive Website in 2010. He was made "Tagore Research Scholar" under the prestigious Tagore National Fellowship" for A-V cultural archives at IGNCA in 2012-14. He was awarded Padma Shri in 2009 by President of India. Dr. Utpal K. Banerjee has been an adviser on Management and Information Technology for 35 years, after obtaining Ph D in the UK as Commonwealth Scholar. He has always an abiding interest in Indian Art and Culture. He has been National Project Director for IGNCA relating to the UNDP project on Multimedia Database for Art and Culture Documentation and Computerisation (1991-93). He lectured on Indian Art and Culture in Canada (1990) and in South America (1998) under ICCR and gave similar lectures in Canada (1992, 1995) under Kalabharati. He gave lectures on Indian Art and Culture for the IFS probationers and in the Foreign Service Institute (FSI) to Afro-Asian diplomats. 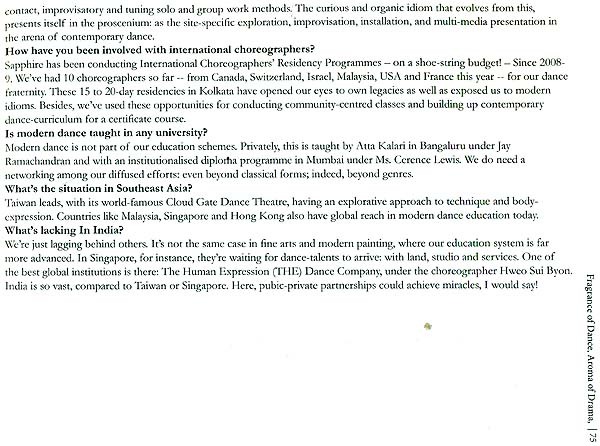 His article on "Role of Cultural Diplomacy" appeared in Indian Foreign Policy Agenda for the 21st Century from FSI. 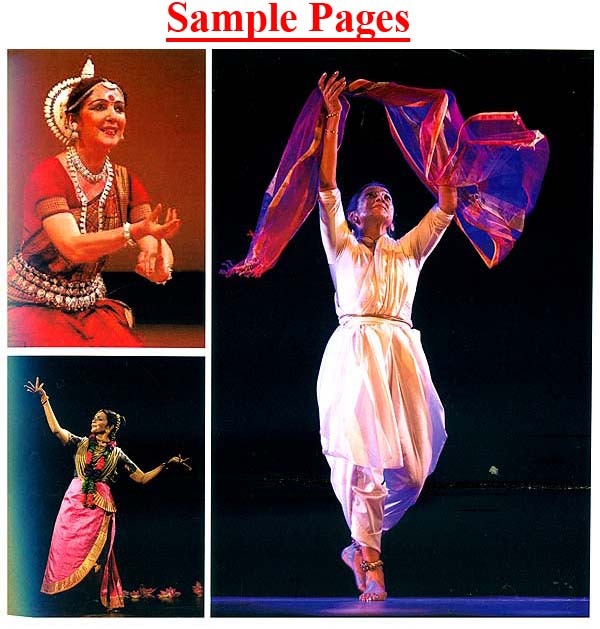 His comprehensive book on Indian Performing Arts (1992) has gone into several editions. He presented Tagore's Dance in 'World Dance Alliance - Global Summit' in Brisbane, Australia, 2008. 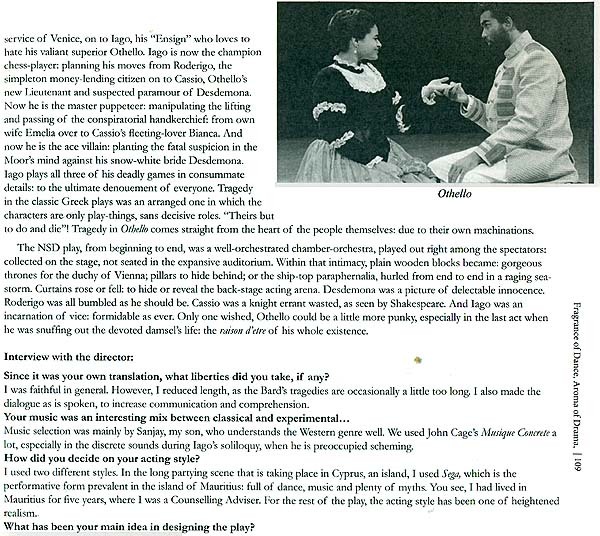 His writings for theatre criticism began with ENACT from the 1960s and continued over the subsequent decades. His major books on theatre are: Bengali Theatre: 200 Years (1998), Indian Theatre in 21st Century (2009) and Theatre in South Asia: Frontiers of India, Pakistan, Nepal, Bangladesh and Overseas (2012). He regularly wrote on arts and culture scene in prominent daily newspapers and journals, including India Perspective, Indrama quarterly and Indian Horizons. He has, since 1994, a regular cultural column in The Pioneer. He has been a regular contributor on cultural and professional programmes to London BBC, AIR and Television over last 32 years. 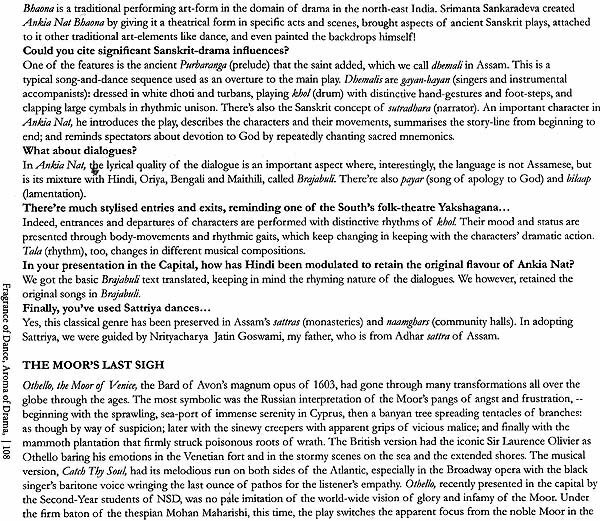 His in-depth interviews of Indian dance; music and, theatre luminaries for DD Bharati are frequently telecast. 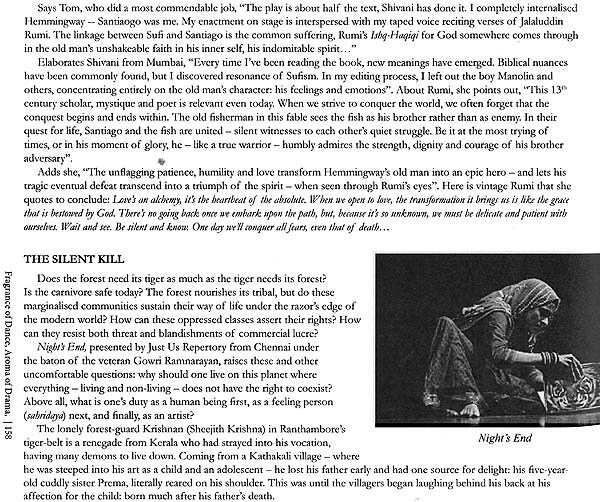 His book Hindu Joy of Life (2006) was followed by Indian Performing Arts: A Mosaic (2006) and Millennium Glimpses of Indian Performing Arts (2006), besides Exuberance of Indian Classical Dance (2010); Indian Contemporary Dance Extravaganza (2010), Theatre of South AsialFontiers in India, Pakistan, Nepal, Bangladesh and Overseas, and Vignettes of Indian Performing Arts (2013, two volumes). During my Commonwealth Scholarship days in the U.K. in 1968-72, when I was also widening my mental horizon and attending the rigorous 14-week extra-mural courses in the Manchester University on Wednesday evenings on contemporary British, German and American theatre; electronic music; Western paintings (from Italian masters to present day); and post-Elliot English poetry in successive years, I had no idea that, on return to India, I will find myself in the self- inflicted role of chronicling Indian performing arts. But that was how it was destined to be. My Manchester University stint of extra-mural courses gave me confidence in visual and performing arts and communications: compounded in a contemporary language. 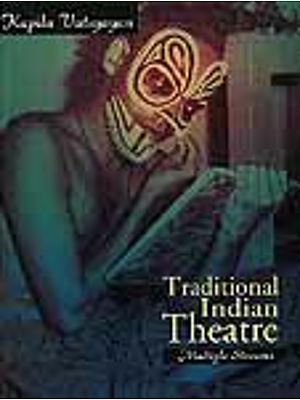 My first chronical, Indian Performing Arts, came out in 1992. The book thankfully went into multiple editions and reprints. It was also embellished with Padma Vibhushan RK Laxman's delightfully irrevential cartoons and the then Sangeet Natak Akademi Chairman, Ram Niwas Mirdha, graciously planned a special edition of the out-of-print book, not materialised due to his unfortunate demise. 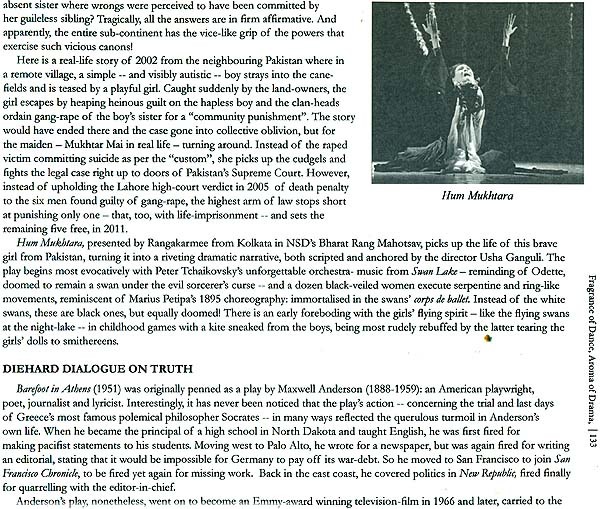 My further sequels followed: Indian Performing Arts: A Mosaic (2006) and Millennium Glimpses of Indian Performing Arts (2007).The fourth to appear was Vignettes of Indian Performing Arts (2013) it two volumes, covering drama, dance, dance-drama, music, puppetry, narrative arts, festival and miscellany: just to give an idea of the intended coverage. The present book -- the fifth and perhaps the final sequel- is restricted to dance, dance-drama, festivals of dance and music, and drama. This is because the most innovative works seemed to be done in these areas, speaking in a comparative vein. The best of the national fruits of though appeared invariably to be routed to the capital and be in the national melting pot. So, to be in the viewer's arena here was deemed to be an advantage, rather than a drawback. The other distinctive reason to limit the scope was to concentrate on the background of the performance acts being done. Considerable time was chosen to be devoted on research so that for once, the perspective of the artistic work clearly emerged. The research effort seemed to be appreciated by the cognoscent - when the pieces first appeared - such as, Dhruva Choudhury, the photographer-son of the celebrated literateur Nirad C. Choudhary and his artiste daughter-in-law Malavika Choudhury; Frank Christopher who steered Lok Sabah Secretariat TV; Mohan Maharshi, the noted theatre director; Anoop Barua of NSD, who put all my reviews on NSD's official website; and the well-known choreographers like Shovana Narayan of Kathak fame; Saroija Vaidyanathan and Rama Vaidyanatthan of Bharatanatyam fame; Bharati Shivaji of Mohiniyattam fame; and Santosh Nair of contemporary dance and Mayurbhanj Chhau fame. It may not be entirely out of place to mention here that the last five choreographers joined forces - purely as love's labour for their debt of thanks to me - and visualised, through dance, poetry and song, my translations of Rabindranath Tagore's rare nonsense verses: culled from my four volumes of RAINBOW RHYMES OF TAGORE, published lovingly by our Sahitya Akademi. The innovative melange was presented as FANCY AND FANTASY at the prestigious India Habitat Centre to a full house in end-September 2014: to mark my turning eighty in life. The programme is now available in YouTube on the Internet, thanks to the resourceful impresario R. Srennivasan and I owe each one of them an immense gratitude for their respect and love towards me, and feel fulfilled.